A group of 2-4 students can participate in the conversation. 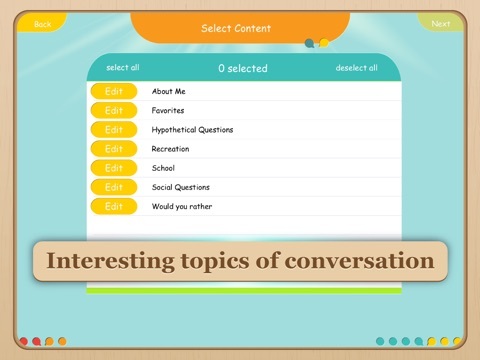 Students sit around a table, placing the iPad in the center of the table and compete to participate in conversation by tapping on the GO icon when the topic is displayed on the topic icon. Basic conversation goals: 9 goals, e.g. “The student can interrupt appropriately”; “The student can ask questions to find out what his/her conversation partner is interested in.”, etc. Tone and body language goals: 8 goals, e.g. 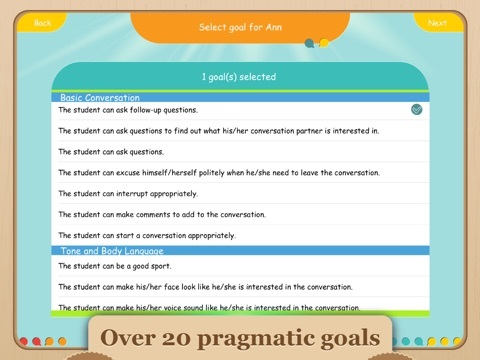 “The student can regularly look at his/her conversation partner”; “The student can make his/her voice sound like he/she is interested in the conversation.”, etc. Turn taking goals: 4 goals, e.g. 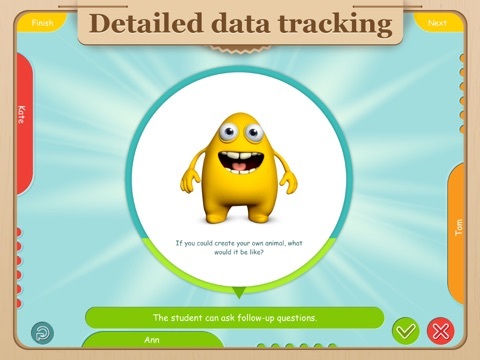 “The student can share the conversation.”; “The student can ask others about themselves”, etc. Topic Maintenance goals: 4 goals, e.g. “The student can talk about the right topic.”; “The student can avoid talking too much about the same subject when others are not interested.”,etc. 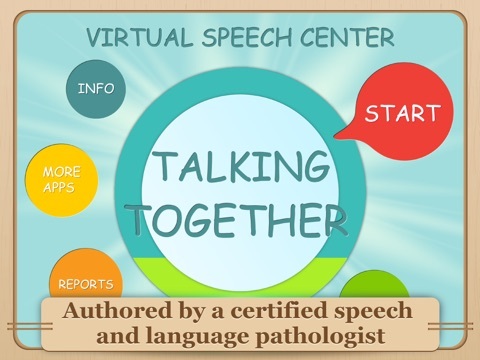 Developed by Virtual Speech Center Inc.